That’s what everyone texting and calling John Manganiotis has to say, and what is making his $1 million haul at the Mega Millions so much more sweeter. 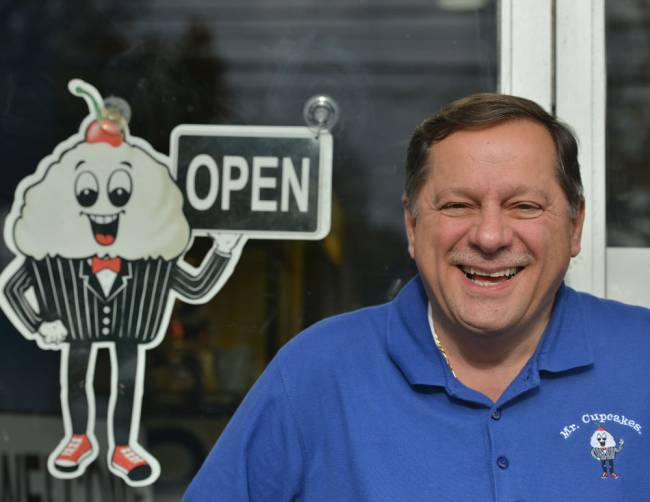 Meet 57-year-old John, good-hearted salt-of-the-earth guy from Saddle Brook, New Jersey - who would rather go on running deliveries at his son’s cupcake shop and eating out at fast-food chains than be “that guy” who goes crazy with his lottery winnings. John won the second-tier prize on the draw on 4 November, 2014, from a few lottery tickets he purchased the day before. John had not even bothered to check the draw results the following day, and did not even know what it meant to have matched 5 of the winning numbers but to have missed out on the Mega Ball. Luckily for him his son Johnny was on the case. In fact, father and son were out running errands together when Manganiotis senior made the impulsive and fateful decision to stop over at Richfield Liquors in Clifton and purchase the lottery tickets, thanks to all the public excitement about the massive rolling $321 million Mega Millions jackpot. It was Johnny who spotted the news about a local from New Jersey winning a million, and who also happened to purchase his lottery tickets on the very same day - and from the very same store as his father had. The sharp observation and the swift joining of the dots was followed by a quick call to his father (also his next-door neighbour), who then confirmed that one of his ticket numbers did, indeed, match the numbers from the news – 9,15,24,39 and 41, minus the 6th Mega Ball number. John’s first reaction was that of happy disbelief, “I was like, ‘Get the heck outta here, c’mon!’ ” he recalled. And when his son helpfully pointed out that it meant he had won a million dollars all John could manage was “I’m coming over!” Then both had a good laugh over the incredible turn of events. Let it not be said that John was lucky only because of the lottery - how many men can boast of their son being the business partner, best friend, next door neighbour and financial advisor. Though John did not hit jackpot (which turned out higher at $326 million due to increased last-minute ticket-sales), he's now $720,000 richer after taxes, which can still buy him than 400,000 cupcakes from Manganiotis Jr’s very own Mr. Cupcakes, but which he is more likely to use towards supporting children’s charities close to his heart and looking after his mother – who couldn’t be happier for him. John donates whenever possible to the ‘Children’s Specialized Hospital’ and the ‘Let them be Little X2’, the latter being a charity for kids with a neurological genetic condition called the Hunter Syndrome. Well, here’s wishing the happy-go-lucky winner all the best with his plans for the future. He certainly seems to have the formula to a good life all figured out, between helping his son out as a Mr. Cupcake man and supporting children in need. A million dollars’ worth of good fortune will simply be the icing to the cake. 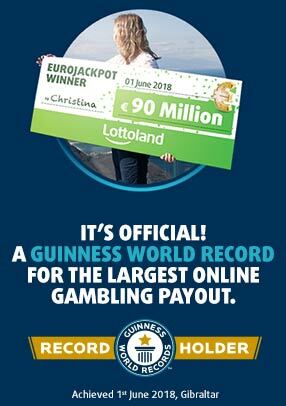 You can play Mega Millions online with Lottoland every Wednesday and Saturday for the world's biggest jackpots - all for just for just €2.50!